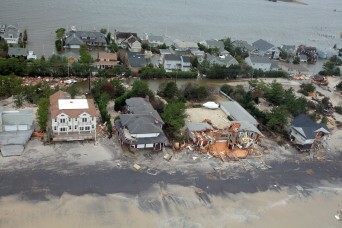 Hurricane Sandy has devastated countless lives and communities in the Northeast. The damage is said to have launched the largest relief effort in the U.S. since Katrina. Over the last few weeks, people have donated money and volunteered their time, but there have been a number of other creative ways people are doing their part. A friend of mine’s parents went out to Long Beach last weekend to help with the clean-up and rebuilding efforts in the area. They rented a u-haul, stocked it full of supplies — work gloves, heavy duty garbage bags, socks, underwear, nonperishable food items, diapers for babies and adults, formula, band aids, antibiotic ointment, bleach, flashlights, batteries, Advil, etc. — and drove it down themselves. Posted November 29th, 2012 & filed under Activism.